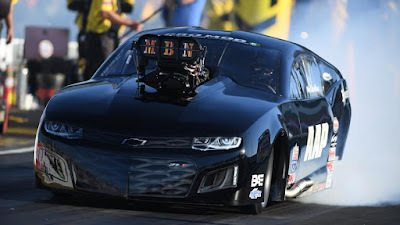 Pro Nitrous driver Danny Sauro raced to his first Professional Drag Racers Association (PDRA) victory Saturday night at the PDRA Fall Nationals at Darlington Dragway. 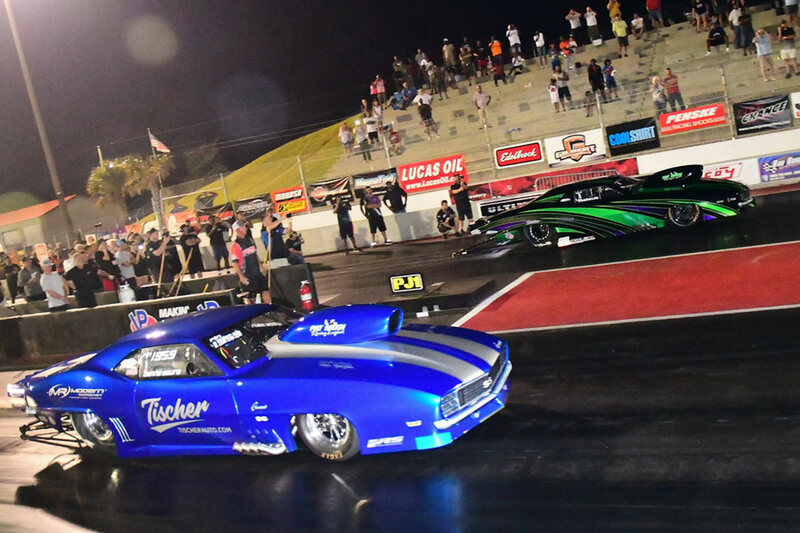 Sauro defeated Tommy Franklin, the defending world champion in Switzer Dynamics Pro Nitrous presented by MoTeC, setting a new Pro Nitrous world record in the process. 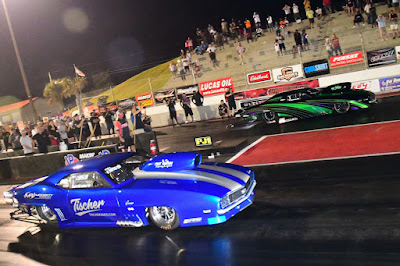 The odds were stacked against Danny Sauro and his Tischer Acura Nissan-backed ’69 Camaro going into the Pro Nitrous final round against defending world champion Tommy Franklin. Sauro was strong in prior rounds, but Franklin had fired off low elapsed time of every round, including a near-record 3.659 in the semifinals. Sauro and tuner Justin Elkes stepped up in a big way, though, loading up a 3.652 at 204.17 to reset the ET national record and defeat Franklin’s 4.001 at 192.80 in the all-Musi final. Sauro became the fifth different Pro Nitrous winner in six contested races this season, and the second first-time winner on the year. He first moved past Edward Wilson and John Camp before running 3.682 next to a red-lighting Jay Cox in the semifinals. Franklin in his “Jungle Rat” ’69 Camaro advanced to his second consecutive final round after defeating John Hall, No. 1 qualifier Lizzy Musi and Todd Fontana.